Security features prevent unauthorized access to the home and office network from wireless devices or from the Internet. 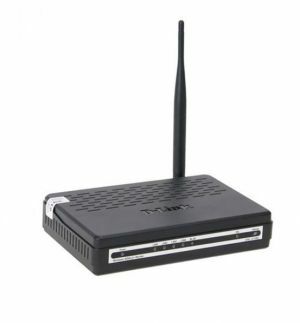 The Wireless N 150 ADSL2+ 4-Port Ethernet Router provides firewall security, such as Stateful Packet Inspection (SPI) and hacker attack logging. SPI inspects the contents of incoming packets before they are allowed in, while hacker logging helps to protect your network against Denial of Service (DoS) attacks. For Quality of Service (QoS), the router supports priority queues to enable a group of home or office users to experience the benefit of a smooth network connection without worrying about traffic congestion.